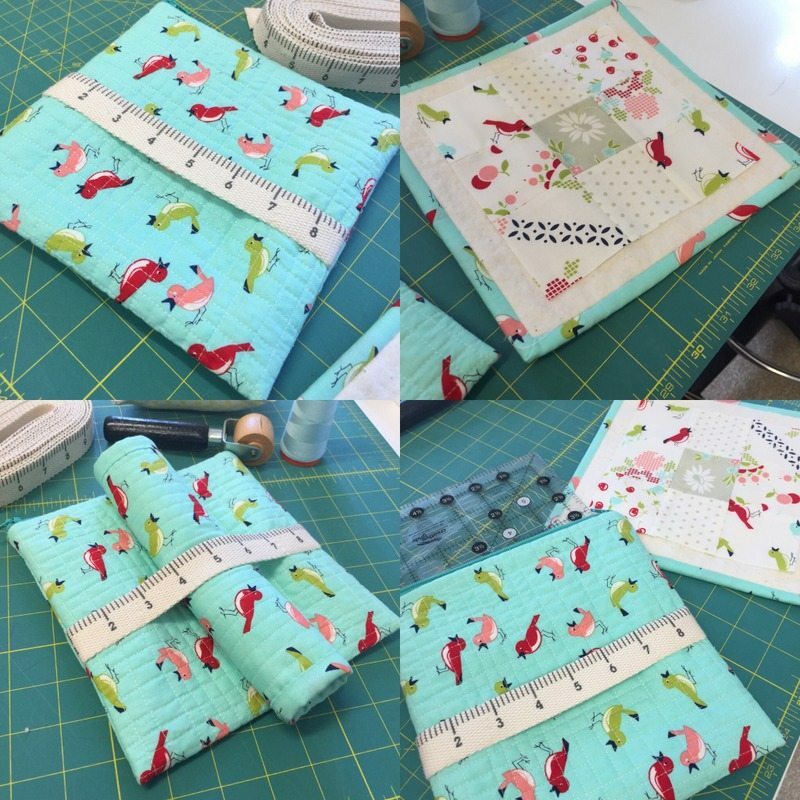 In preparation for a 6″ sampler that I will be participating in, I made a zippered pouch to house my 6 1/2″ square ruler and and a pressing mat/design board. The mat fits snuggly into a band around the pouch. Handy to take with me when I am on the road or simply to leave next to my machine. The mat has a few layers of cotton wadding and backed in cotton fabric. 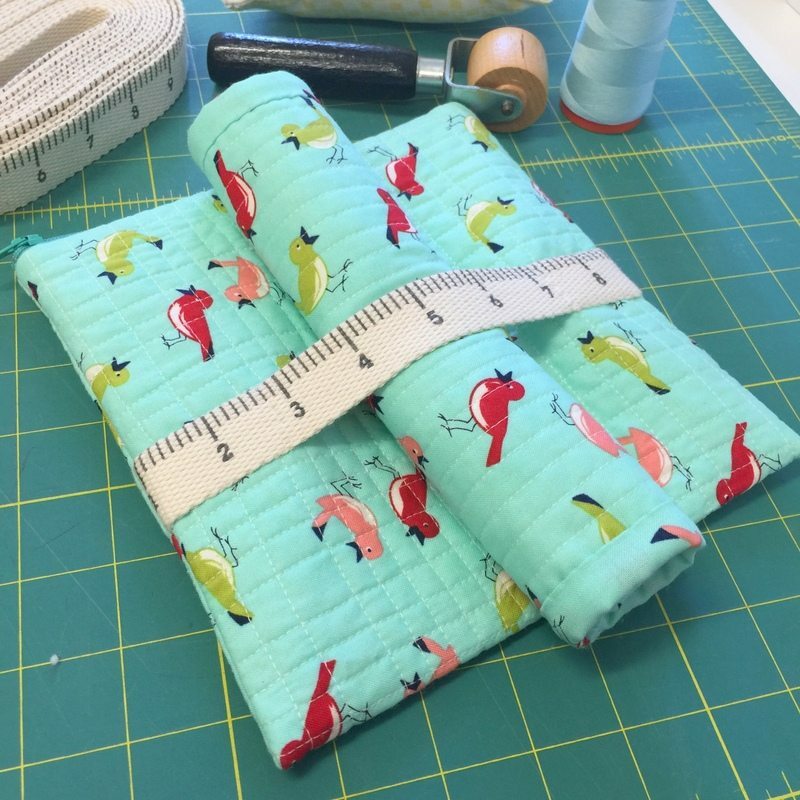 Made with Bonnie and Camille Vintage Picnic prints, measuring tape twill from Spotlight and Matilda’s own 100% unbleached cotton wadding. ThIs. Is. Amazing!! Do you use the back of the design mat as your pressing mat?! I use the wadding side. It catches the threads and because it is 3 layers it makes a good pressing surface. I made a 24″ square as well with 4 layers of wadding. I press all my blocks on it. Love this Jane! 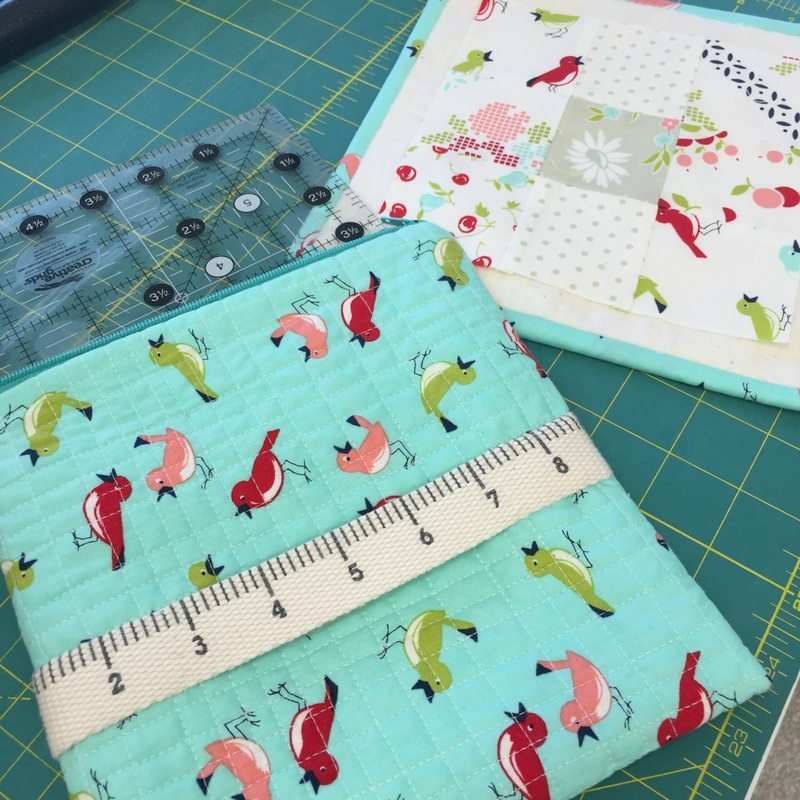 Will you be doing a pattern or tutorial? I know some quilters that would love to make their own versions. Angie, I will be making some for the pouch swap so I may post a quick outline of how I made set.